At West Music, you can shop for a wide assortment of musical instruments and essential accessories for musical instruments. You can also use West Music to take advantage of educational opportunities that are made available through the site. Instrument rentals and leases are also available. This website provides the opportunity to shop for such products as band and orchestra, classroom furniture and equipment, kids and movement, Orff, guitars and folk, pianos, digital pianos, keyboards, and more. A range of recording products and similar software is also available. In addition to this, you can purchase live sound/DJ products, as well as drums and percussion. Music, books, and additional resources are also available. 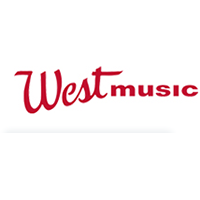 For most up to date offers check out West Music on Facebook and Twitter or contact West Music Support for any questions.